Here’s what’s up in the world of television for Thursday, July 27. All times are Eastern. Shark Storm (Discovery, 10 p.m.): So Michael Phelps didn’t wind up racing an actual shark. 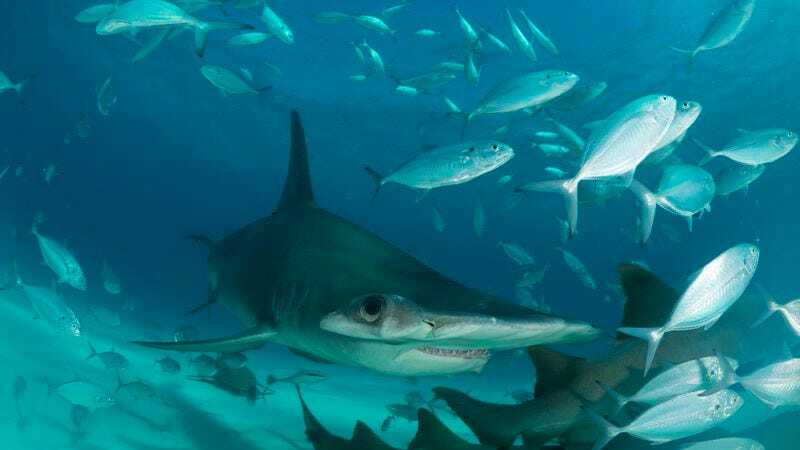 The second half of tonight’s new Shark Week programming isn’t meant to be taken literally either: The title of Shark Storm refers to annual gatherings of the undersea predators that occur in multiple locations around the world—and for no apparent reason. Dr. Tristan Guttridge and Ornella Weideli are out to get to the bottom of these sharp-toothed social events. And unlike “Fin” Shepard and April Wexler, they don’t need a boatload of D-list celebrities backing them up. Man At Arms: Art Of War (El Rey, 8 p.m.): The conclusion of a MythBusters-style series in which Danny Trejo and a panel of experts test the real-world efficacy of iconic pop culture weapons—and not, unfortunately, a miniseries in which Trejo lends his signature grit (and signature facial hair) to He-Man’s mightiest ally.